New lighting is undoubtedly one of the easiest ways to update the look of your home, but one glance at the prices of light fixtures prices might leave you searching for better, more affordable alternatives for brightening your home in style. Thankfully, we don’t have to be limited by our pocketbooks when it comes to decorating with stunning lighting fixtures when there are countless ways to create our own in a variety of colors and styles. Best of all, we’re only limited by our imaginations! 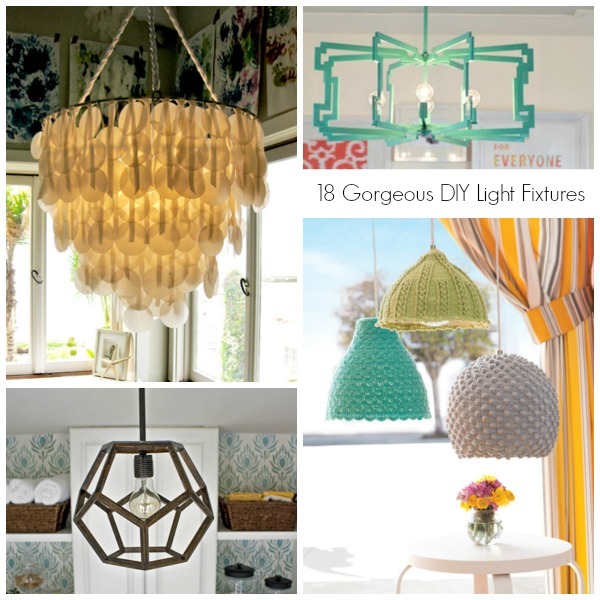 Take a look at 18 gorgeous light fixtures you can make yourself! Now go on and let your light shine!